Sometimes we can be too close to a story to see clearly. 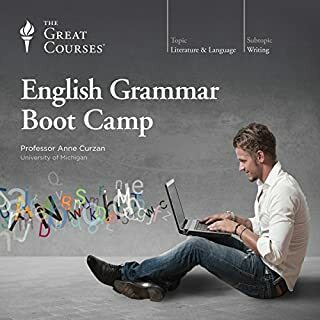 If you find you begin to change the plot midway or struggle to think of one at all, this audiobook deals specifically with keeping you on track to create compelling plot outlines your readers will love. Early in the history of English, glamour and grammar were the same word, linked to enchantment and magical spells. Now grammar brings to mind language bullies and bored-out-of-their-skulls students. Roy Peter Clark, one of America’s most influential writing teachers, wants to change that by putting the glamour back into grammar. What you need to know about punctuation as taught widely in high school and grade schools. 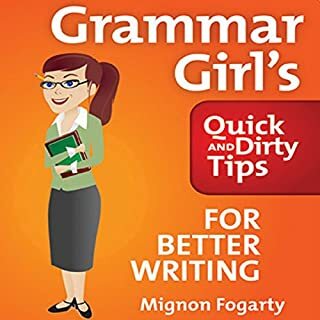 As the author says, "It is far easier to improve your writing by using proper punctuation than by studying grammar, a far more complex subject." The author scopes out the project to assure the listener that this is not as challenging as they may fear. He states that there are only 13 punctuation marks in English, and only three are truly troublesome: the sentence bridges which include the comma, colon, and semi-colon. As the author suggests, you should focus on the tracks that really matter, the sentence bridges, and give less attention to the other 10. 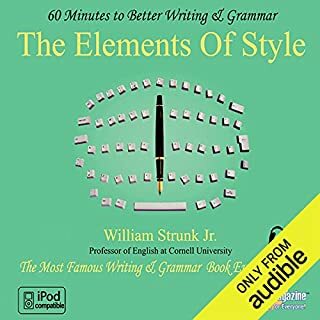 What is so helpful to the listener is the clear differentiation between the important punctuation marks, how to work effectively with them, and how to avoid issues with your meaning. 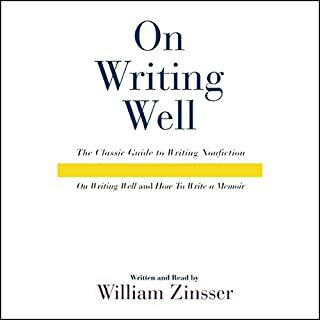 The introduction is especially helpful, "Fix your writing through better punctuation." 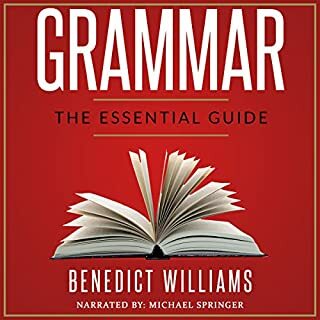 Following that, the author covers the three sentence endings: the period, question mark, and exclamation point; the three sentence bridges: the comma, colon, and semi-colon; and the others: the apostrophe, bracket, dash, ellipsis, hyphen, parentheses, and quotation marks. In just 60 minutes your writing will be more crisp and effective - no small thing! The 14 tracks are: 1. 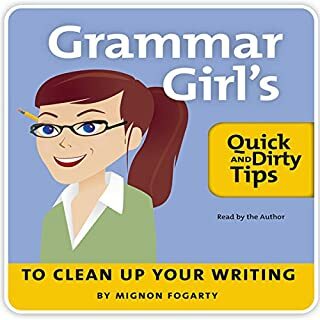 Fix Your Writing through Better Punctuation. 2. Sentence Endings: Period. 3. Sentence Endings: Question Mark. 4. Sentence Endings: Exclamation Point. 5. Sentence Bridges: Comma. 6. Sentence Bridges: Colon. 7. Sentence Bridges: Semicolon. 8. The Others: Apostrophe. 9. The Others: Bracket. 10. The Others: Dash. 11. The Others: Ellipsis. 12. The Others: Hyphen. 13. The Others: Parentheses. 14. The Others: Quotation Marks. ©2008 Deaver Brown (P)2008 Simply Magazine Inc. This book was a great refresher after quite a few years out of school. Absolutely worth the purchase. Very fast quick and dirty guide. Good to listen to a few times to retain information. I'm an aspiring writer. As such I struggle with proper use of punctuation. This was just the instruction I needed; quick,easy,and concise. To give me confidence to proceed. Exactly the same book. Couldn't identify any improvements. They made this one a few minute shorter so that they could use "60 minutes" in the title, clever. Won't use this to review to suggest another title, but id keep looking. Like this program because it easy to use . It's good for reviews and it's done on 60 in 60 minutes. What did you like best about Punctuation Guide? What did you like least? I liked the material that was presented, but I felt a bit cheated. The total recording was only 45 minutes, not the 60 minutes that the title promised. 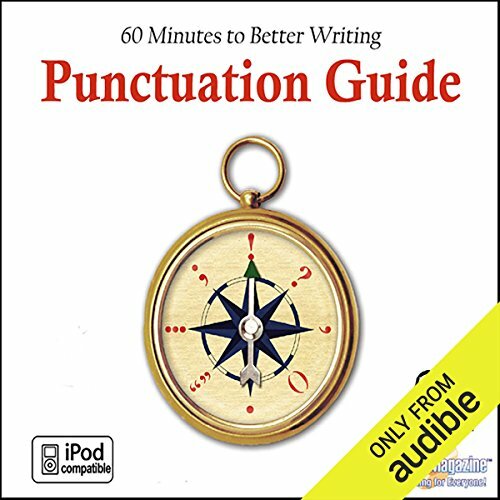 The 45 minutes included pauses and the introduction for each related punctuation mark was repeated as the chapter for that particular mark was read. If the pauses and the repetition were eliminated the book would have only taken 30 minutes to complete. The author could have given more examples. Also, he wasn't consistent with his naming conventions. In one chapter when listing items he used, "A, B, C," then in the next he used, "first, second, third." There was no closing. He finished giving the example and it simply ended. Could you see Punctuation Guide being made into a movie or a TV series? Who should the stars be? The book is certainly worth listening to and has helpful material. Well worth the $1.95 selling price.